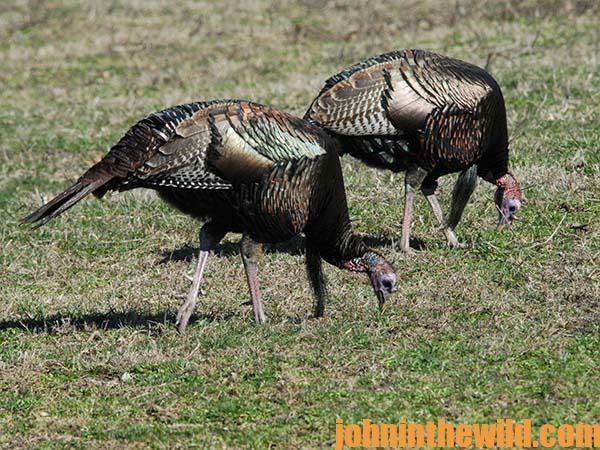 The turkeys were about 300 or 400 yards away when my guide, Chauncey Wesner, and I spotted them out in a field on his family’s ranch, the Wesner Ranch/Double E Outdoors, on the Oklahoma/Texas border near Reydon, Oklahoma. 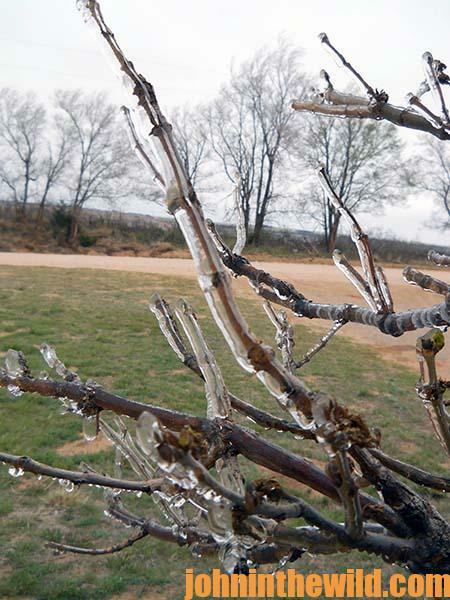 The Wesners own property in both Oklahoma and Texas. The great grandparents on both sides of the family were in the Oklahoma Land Rush of 1889 and claimed the land where the Battle of the Washita River had taken place in 1868, when General George Armstrong Custer and his cavalry massacred peaceful Indians along the edge of the river. After Chauncey and I had driven past the turkeys, I asked, “Do you want to go after those two gobblers in the field?” He told me, “Those birds are a long way off.” I agreed but also reminded him that those were the only two gobblers we’d had a chance at all morning. We parked the truck out of sight from the gobblers and made our way to an old dam about 75 yards from the truck. From that vantage point, we could peek over the dam and watch the turkeys. “There are two gobblers and six hens out there, between 200 and 300 yards away”. When I crawled to the top of the dam and spied on the gobblers with my Alpen (http://www.alpenoptics.com) binoculars, I said, “Call, and see if they’ll gobble.” Luckily, the wind was blowing from us to the gobblers, so Wesner’s calling could ride the wind and carry his hen yelps directly to the turkeys. 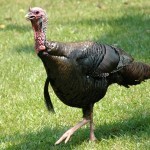 Because of the roar of the wind, I knew we’d be unable to hear the turkeys gobble back at that distance. As I watched the gobblers drop their strut, they stuck their necks straight out with their heads shaking as they gobbled. 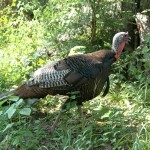 We watched and called for a few more minutes, and one of the gobblers started to drift toward us. 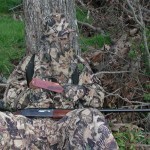 “See if you can set up your hen decoy on the dam where the gobblers can see it,” I suggested to Wesner. 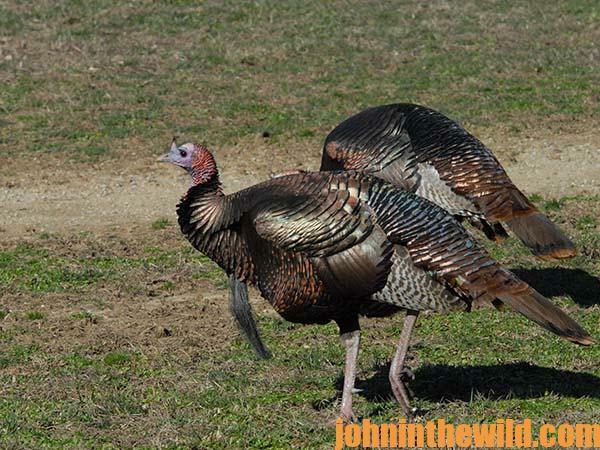 In a few short minutes, he set up his hen decoy on the dam, and we watched the turkeys as Wesner began to call. Once the hens saw that hen decoy that supposedly was calling to their gobblers, they herded those two gobblers away from us and into a canyon about 1/2 mile away. “I think we can jump in the truck, circle the turkeys, go across country and get to the canyon ahead of the gobblers,” Wesner explained. In less than 5 minutes, we had moved, hidden the truck and were walking at a quickstep to get to the lip of the canyon. “I believe the turkeys went into the next canyon over,” Wesner observed. “If we can go down this canyon, up the side of the canyon and sneak over the lip of the second canyon, you may get a shot at those gobblers.” One of the real advantages of hunting with someone who knows the land is they understand the turkeys on their land, where they’re most likely to go, and where you probably need to set-up. 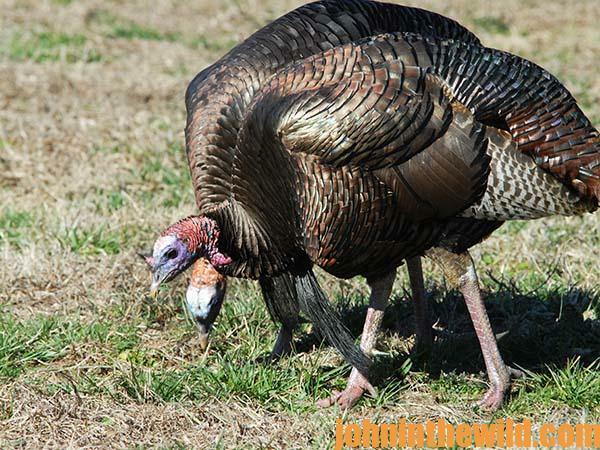 Without knowing the terrain and the movement pattern of the turkeys on the land you’re hunting, finding and taking gobblers is far more difficult. 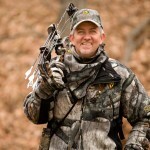 For more information on hunting with the Wesners, go to www.doubleeoutdoors.com, or call 806-565-4679. 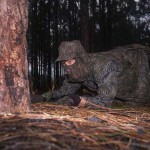 How to Hunt Turkeys with World Champion Preston PittmanTo learn more about turkey hunting, get John E. Phillips’ new eBook “How to Hunt Turkeys with World Champion Preston Pittman.” Click here to get this book.